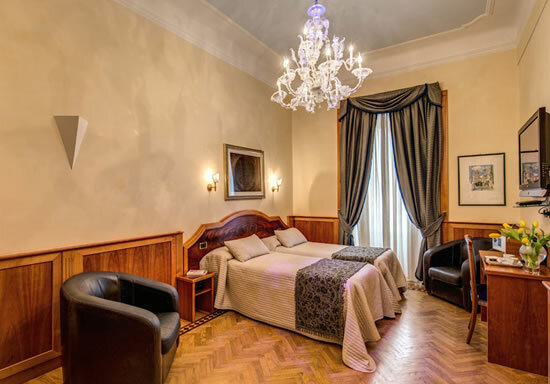 B&B Opera Rooms 66 Monti - In this modern little guest house you have all the services of its 3 star parent hotel and you find yourself a few steps away from all that is special in Rome: monuments, parks, museums and the National Opera Theatre just across the road. 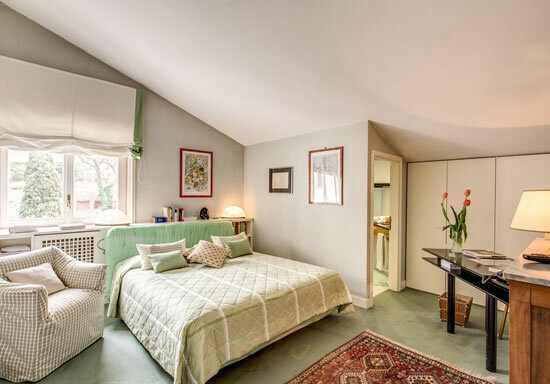 Apartment Sweet del Moro - Self-catering in Rome in the famous area of Trastevere. Charming apartment easily big enough for four plus guests thanks to the two double bedrooms and ample sofa space. Well designed interior and in the heart of one of Rome’s most beautiful neighbourhoods. 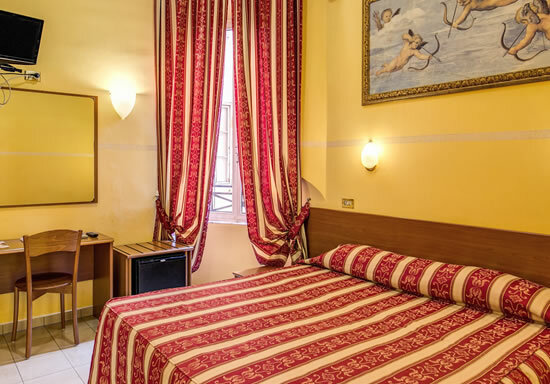 Relais Conte di Cavour Monti - Quality guest house at low low rates - the world of Rome accommodation is truly turning upside down! The Relais Conte di Cavour has luxury options such as airport transfer, hydro-massage showers and free bottled water - plus the reputation for the most amazing coffee on the block! 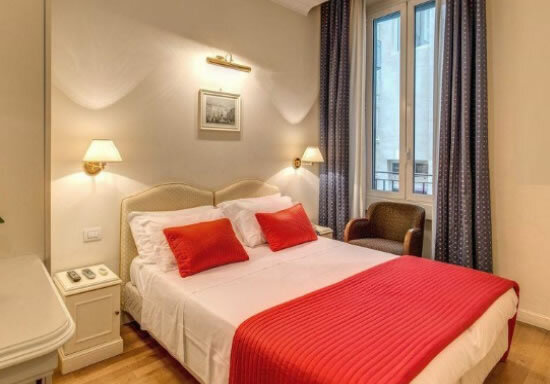 Rome Galatea Hotel - Luxury at great value for money rates. 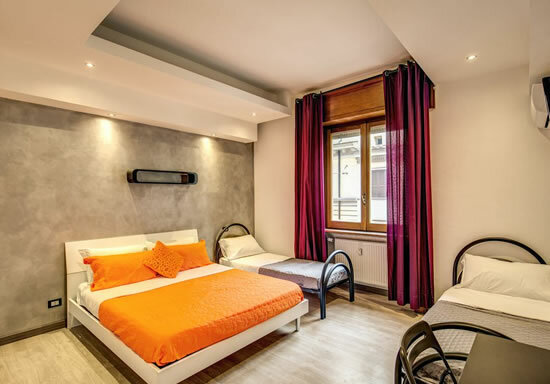 The lovely decor of this stylish hotel matches the charming ambiance of the eternal city. 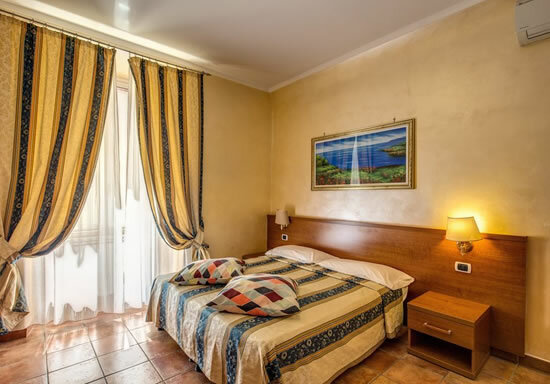 Just off Via Nazionale, hotel Galatea has the perfect location. Step outside and join all the trendy people in the cool and hip neighbourhood of Monti. Hotel Terme Olimpia Rome - An outside terrace where you can sip on an aperitivo freshly prepared at the bar about sums up the compact range of services offered by this elegant yet simple accommodation in Monti. Staff are on hand 24 hours and various concierge services are also available, along with free wifi and breakfast. 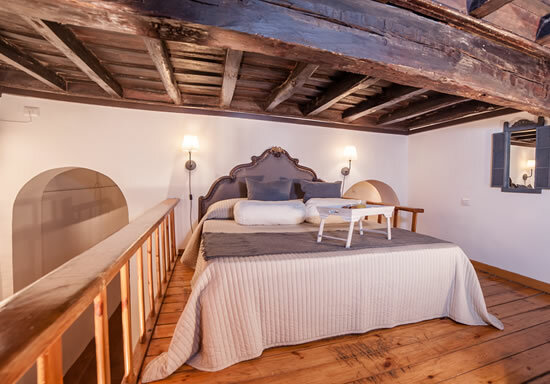 Relais San Marco - The rooms of this elegant accommodation are decorated and furnished in a simple modern style but still have a warm and cozy atmosphere thanks to pastel colours and wooden floors. All the necessary mod cons available including free wifi, satellite tv and safe deposit box. 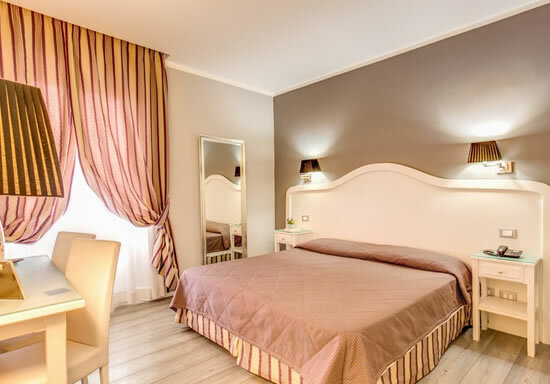 Guest House Chester Suites - Located in the centre of Rome, 10 minutes away from the most popular landmarks and 1 stop away from the Vatican museums, this luxury guest house will provide all the comfort you need. These 5 bedrooms all include wi-fi, air conditioning and mini-bar. 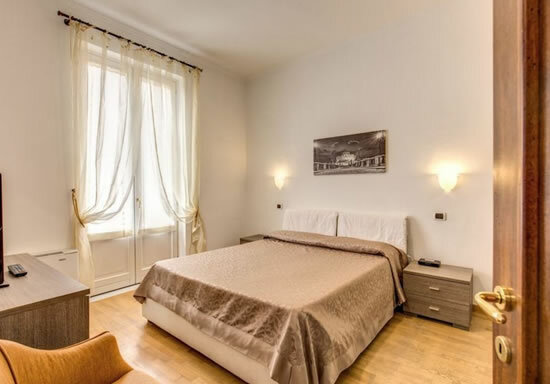 Villa della Fonte Trastevere - Small and quaint Rome hotel in an old building from the 1800’s located in the characteristic area of Trastevere. While this guest house is fairly minimal, you can get bike and scooter rental here and you’ll be well placed for trying many of the city’s more tourist-inclined restaurants. 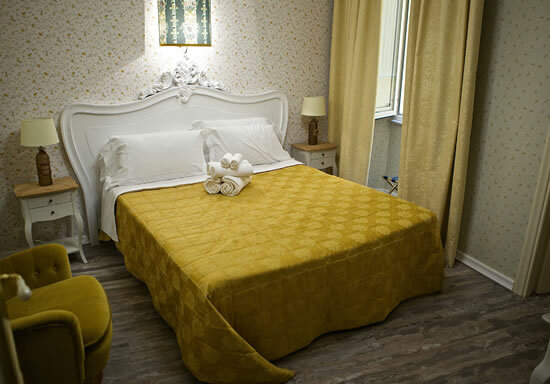 Enzo Luxury Rooms - Classic budget hotel near Termini for the traveller looking to enjoy the city, but Enzo Rooms has just opened under new management and offers a good package of modern services as well as a quality accommodation that has been revamped and looks smart and modern inside. 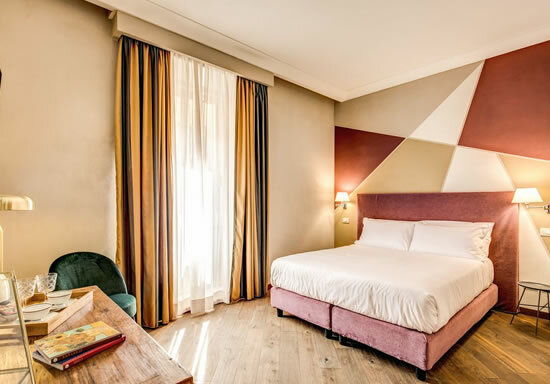 Hotel Trinità dei Monti - Quality hotel on the second and third floors of a historical building near Rome’s Piazza di Spagna. 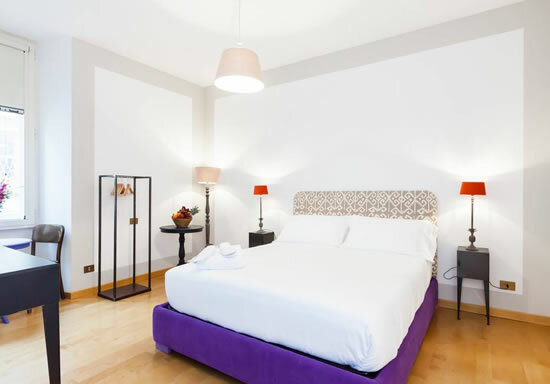 This pleasant, high end accommodation has all the mod cons and a pleasant atmosphere ideal for a romantic trip to Rome or a weekend city break among the cobbled lanes and charming architecture. Hotel Salotto Monti - A hippy-chic hotel for the modern day hipster on a romantic break to one of the world’s most beautiful and mind-boggling cities, the Salotto Monti is located just off Via Nazionale a short walk from the boutiques and street-food eateries of Rome’s coolest inner city district. Panoramic rooftop terrace too! Soggiorno Comfort Rome - Charming in the original sense of the word, before it became the cliché word for all accommodations, the Soggiorno Comfort is an old-fashioned Rome guest house offering a warm a friendly service and a fine central location near Via Nazionale and the fashionable district of Monti. The Rome Suite - For business or leisure, the Rome Suite is a great little accommodation in the heart of the city where you can rest in a comfortable queen-size bed and check out the views from the balcony in the superior or family rooms. Concierge, wi-fi and sweet Italian breakfast with proper coffee all included. 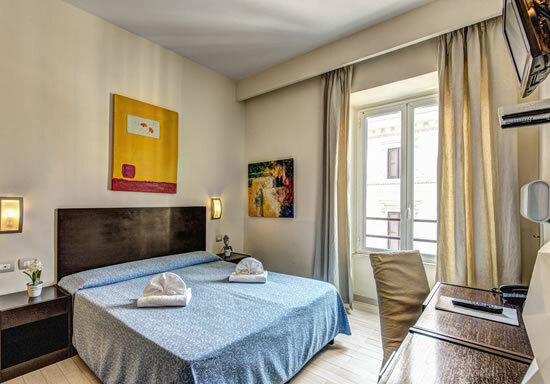 Hub Navona, Piazza Navona - One of Rome’s many tiny yet prosperous accommodations this executive quality city centre guest house offers guests luxury and opulence in the beating heart of renaissance Rome. A small yet professional service is provided and this quality B&B is ideal for a romantic getaway. 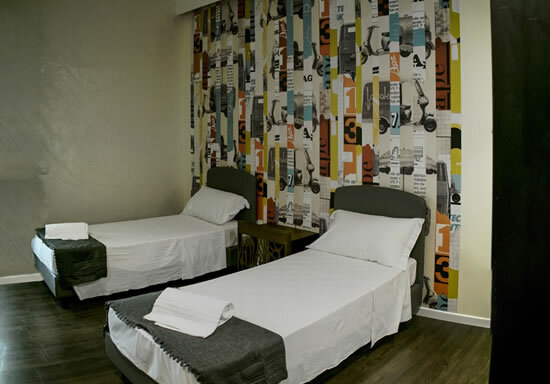 Hostel Trustever in Trastevere - An artistic and vibrant atmosphere is complemented by the clean and modern feel of this bohemian hostel accommodation in Rome’s characteristic Trastevere district in the historical centre. Get discounts on scooter rental, pool and gym facilities or do the city on foot. 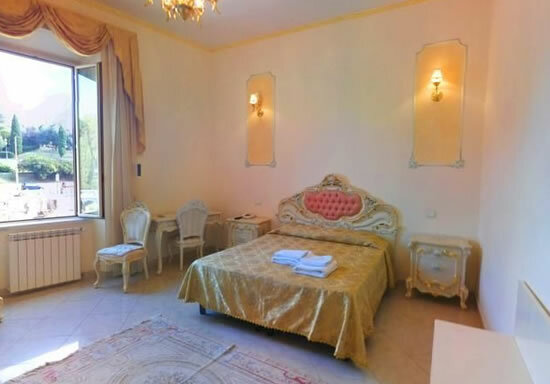 Country House La Gaura Casal Palocco - Just off the Cristoforo Colombo road from Rome to the beach at Ostia is the verdant town of Casal Palocco surrounded by pine forests and greenery. This great value accommodation hires out bikes and fixes rounds at the local golf course. Oh, and it has a pool too! 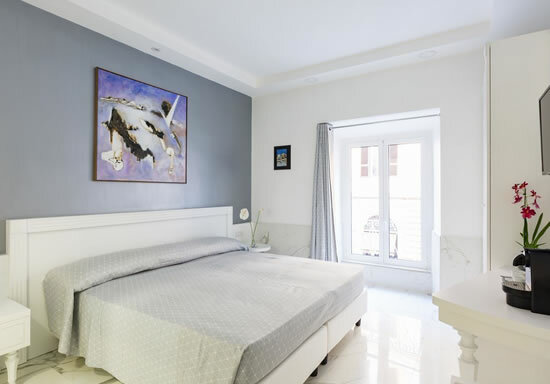 A Casa di Teli Guest House - Cheap and cheerful, this brand new guest house has six immaculate new and clean guest rooms and the owners’ philosophy here is offering a great value service at the lowest possible prices. The accommodation is functional, elegant, clean and secure and wi-fi and breakfast are included. 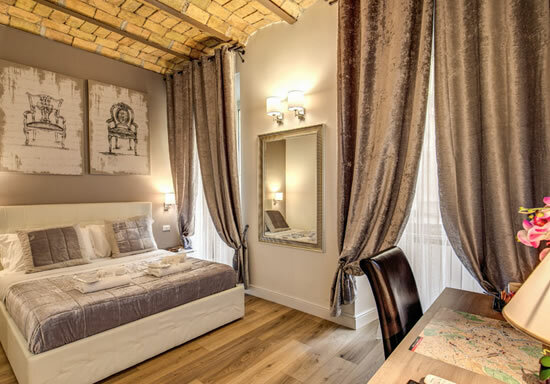 Located on Via Cicerone in the leafy and rather posh area of Prati, the Little Aurelius offers a reasonably-priced accommodation option with just seven rooms and a connection to the staff via intercom in reception. Sister property of the four star Aurelius Art Gallery Hotel in the near vicinity. 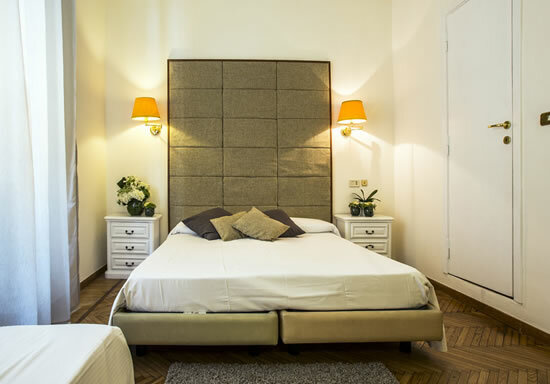 Casette Monti Apartments - Self catering in Rome gives you a level of privacy and independence distinct from hotel accommodation not to mention the huge savings. Casette Monti is a group of 16 apartments all close together in the same neighbourhood of Monti, a hive of vibrant culture and activity in the city centre.